Wonderful corner lot home in quiet community. 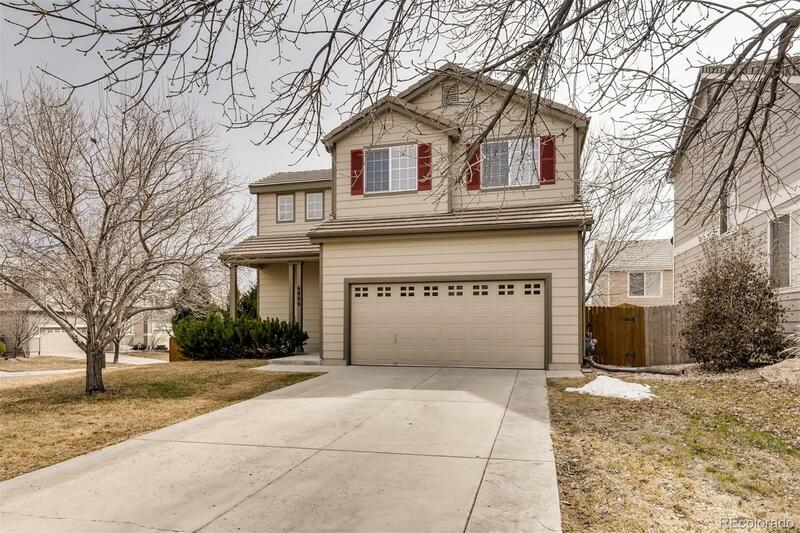 This refreshed, 3 bed, 3 bath, 2 story home with 2 car garage features and open and inviting floor plan with great room, 3 sided fireplace and large kitchen dining area. New Carpet, New Paint throughout! Upstairs offers 3 large bedrooms, a master bedroom with private bath and walk in closet. Flagstone patio, covered front patio, large front and side yard, Central Air Conditioning, Fenced Yard, Mature Trees, Tile Roof, Mountain Views, close to parks and recreation areas including Chatfield State Park. Quick Close.